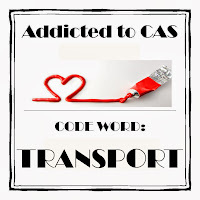 where the code word is transport. There are also a couple of challenges with a clean and simple theme. Stampin Up embossing folder; Memory Box cloud die; MFT banner die; We R Memory Keepers stamp; distress ink; twine; sentiment sticker. Absolutely brilliant Cathy! You do come up with some ingenious ideas! This is so fun and cute! Love that cloud EF. Great card Cathy. Love how you've got the focal image across the centre of the card, really pulls the eye in. Thanks for joining us at ATCAS. Lovely card 'cause who doesn't love cute airplanes! Thanks for playing with us at Inkspirational challenges. Hope you will join us again next time. Love that adorable airplane and I love how you did the blue sky with clouds!! Looks so fantastic!! You did really well!! 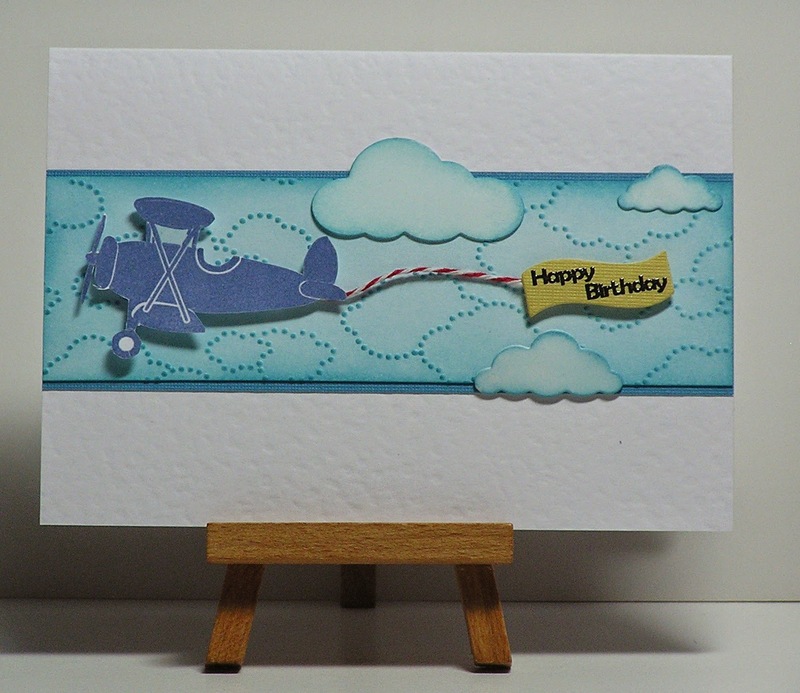 Oh what a sweet card :) I love the inking and the clouds, thank you for sharing with ATSM ! Awesome! Those embossed clouds in the sky are just terrific. My Dad would love a card like this. Thanks for joining us this week at ATSM. Such a happy card - love that little airplane!